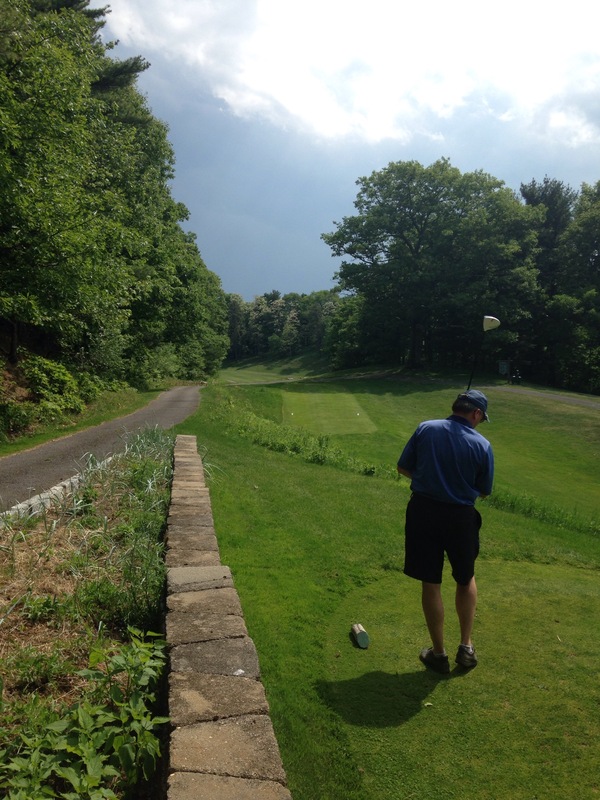 Mohonk Golf: Woodchuck Golfing at its most Fun! I’m on vacation in Upstate New York, specifically at the Mohonk Mountain House in New Paltz, New York. It’s a fantastic vacation spot, and I’ll be writing about it when I get home from vacation on Thursday night. 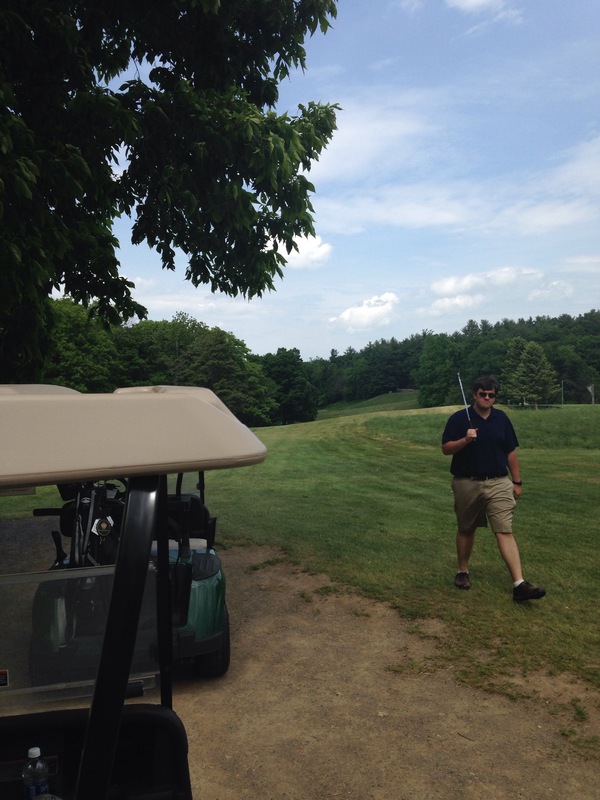 My dad, brother, and I went golfing yesterday on a fun 9 hole golf course that the resort runs. It’s a fun, quirky golf course. In the title, I called it a woodchuck golf course. What does that mean? Well it refers to a golf course in Vermont called the Woodchuck Golf Course that is flat out absurd and plays in a way that golf is just not meant to be played. A woodchuck style course is unusual, a little zany, but is consistently entertaining. This course is no normal course, but as it is a golf course, I will give a review of it. Admittidly, it’s not as high a quality golf course as I will usually be talking about here. Again, the categories I’m talking about are as follows. Facilities, Fairway Play, Greens, Aesthetics, Overall Difficulty. Without further ado, here comes the review. There are a few things you can expect to find at a golf course in the way of warming up. Things like a clubhouse, a practice green, and a driving range. On this course, well there’s a clubhouse. It feels like a regular house and has everything you need in a golfing clubhouse, so that’s good. There’s a practice green with plenty of holes to shoot at with all different slopes and angles to shoot at, so that’s good. There is however, no driving range. Therefore, there’s no way to warm up before your round. Points come off for that. The greens suffer from similar problems as the fairways. They’re designed to be a bit wonky, with funny hole placement, clever slopes, interesting angles to play on, and fun approaches. They have an entertainment factor which is certainty there, but the quality of golf on the greens is not the highest. So points come off for some absurd lies and hard ways to play the hole. It’s a pretty course. The shade provided by the trees you have to fight your way through is a fun touch, and it’s in upstate NY. There are some awesome vistas on the course. The points that come off are for there being way too many bugs, to the point where I felt like I was being eaten alive by bugs and for making the use of a cart effectively required and difficult on this course. It’s too hilly to walk around, and the hills that require you to use a cart also make it tough to use a cart.. Logic. This is quite a fun course. There’s plenty of difficulty, but the challenge comes from how unusual the course is. This is a fine way to get a challenge, and it is wildly different from any course I’ve played this year. But at some point, there has to be a regular golf challenge. There has to be a long tee shot that’s just a straight long shot, or a hard placement of a bunker, instead of dropping off a cliff or dropping into a ravine then climbing back out of it. At least that’s my thought, and while this course has some real golf challenges, I don’t believe there are enough to make up for a few too many gimmicky moments. 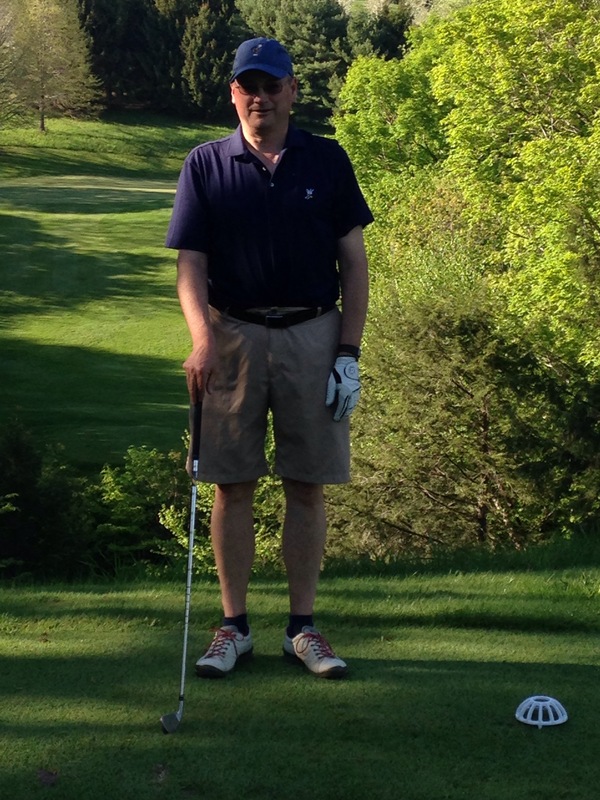 A long tee shot, down a hill, trying to drop a ball on the green from above the hole. That messes with the psyche of the golfer and can mess you up. It did me. Good length, fun gimmicks(like trees in the middle of of the course), a proper green, and a good golf challenge. The perfect resort woodchuck golf hole. Plus I had my best shot on this hole. I chipped an 8 iron between two trees, over a hill, and landed the ball inside 3 feet from the hole. That wade a great end to a wonky but fun golf day. This is not intended to be a great golf course from a pure gold standpoint. It’s a fun course, a good way to spend a vacation day at a good course, and a worthwhile part of my time. Check it out if you come by these parts! 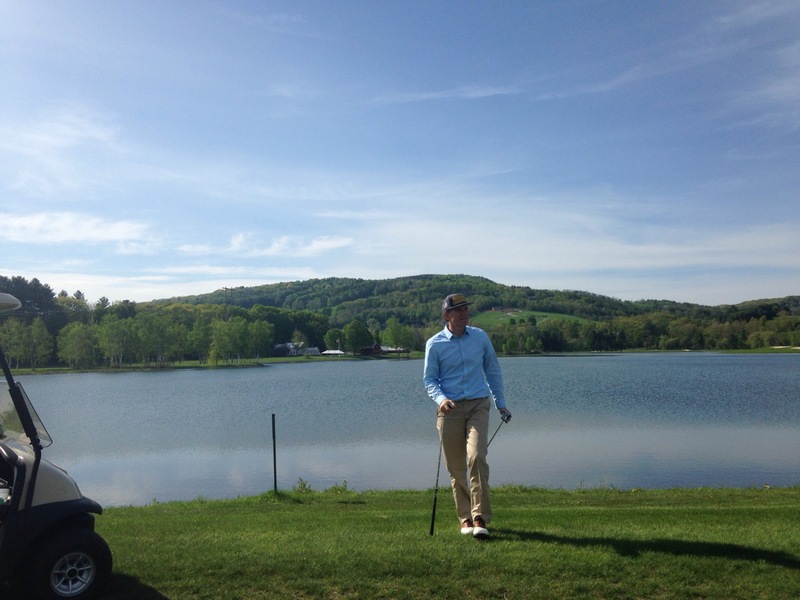 Quechee Lakes Golf Review: 2 for the price of 1! Last week, I was up in the great state of Vermont. 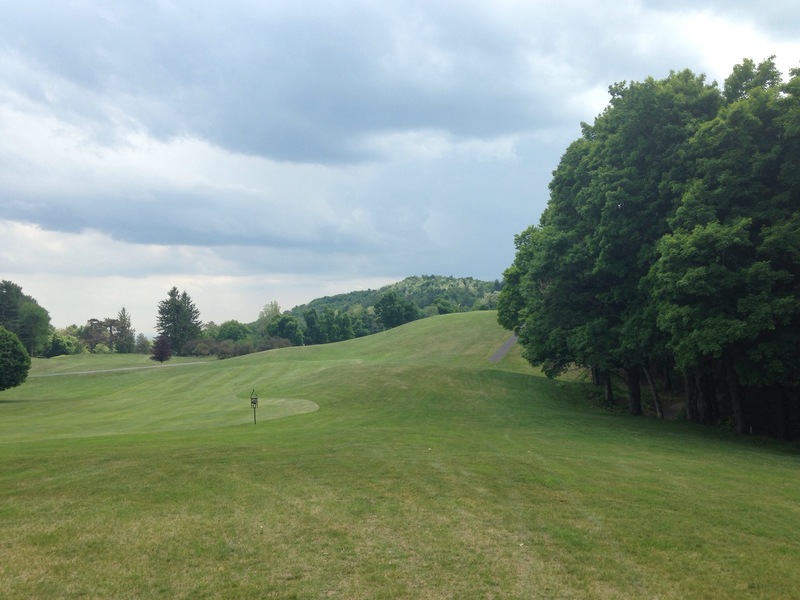 My dad’s company had their annual Off-Site event, and they took the show to Quechee, VT. As part of the entertainment, me and dad took people out to the golf course to play one of the two golf courses available for play, the Lakeland Course. On Sunday of that weekend, after everyone else left and before we got on the road, I went to play the other course, the Highland Course, with dad. So I have two courses to review here. I’ll do them both in one review, as they share some similar pieces. A reminder of what I’m judging the courses on. General Facilities, Fairway Play, Greens, Aesthetics, Total Difficulty. I’ll give a hardest hole and favorite hole for each course. The two courses share the same warm up facilities, so they share the same score here. The facilities here are generally pretty good. There’s a good place to get dressed and ready before the round. The snacks you can get on the turn for both courses is quality and worth stopping. The meal you can get on the deck after is also very worth it. The chipping and putting greens are right next to each other, and they’re both excellent warm up areas. The driving range is also usually pretty good. The only problem is, and this is why it costs points on this review, that the range wasn’t open! There was a water problem that had to be fixed on the range, as it’s the hill used for skiing during the winter and there’s a snowmaking system for the hill that went wrong. Well stuff happens, but still, no driving range to warm up on! Points deducted. Both courses get the same score on this section. They have a great mix of elevation, length, width, and they keep the player entertained and challenged the whole way. Points do come off the board for stretches that aren’t maintained too well, but by and large, the fairways are pretty good. They play well on both courses, they’re both good to reach, they’re both a good mix of enjoyable and challenging. The Highland course loses a point because they are frequently sloped and it affects the play a bit too much for my tastes. Still a nice set of greens though. Both of these courses are just gorgeous. 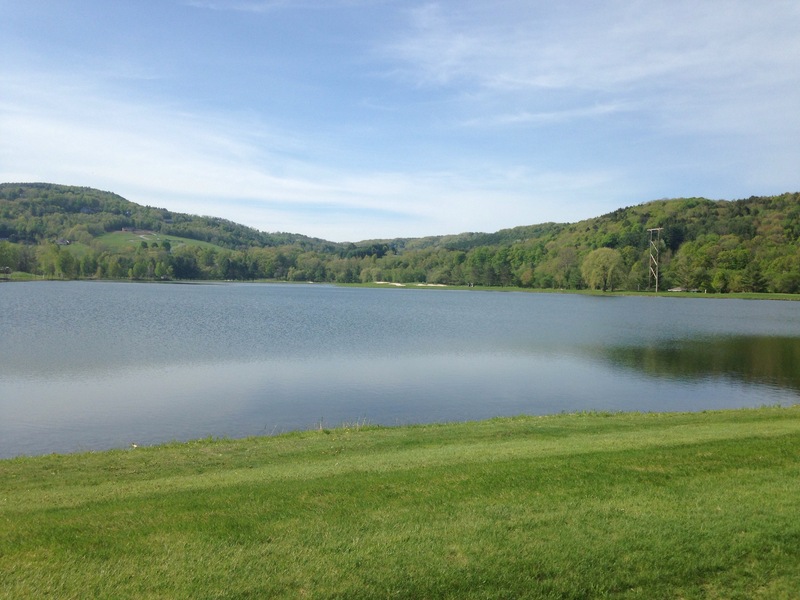 The Lakeland course has a spectacular set up over part of the lake, as the name demonstrates. The Highland course has some amazing views and set ups as well. Both get perfect marks on aesthetics. The Lakeland course, though aesthetically pleasing and enjoyable to play, is a bit easy. It gets formulaic and easy to determine how to play it. The Highlabd course is much more difficult. There’s more changes in elevation and the two par threes on the back nine have deep ravines in the middle of them to make the hole more intimidating. It’s still a fun challenge and enjoyable to play. 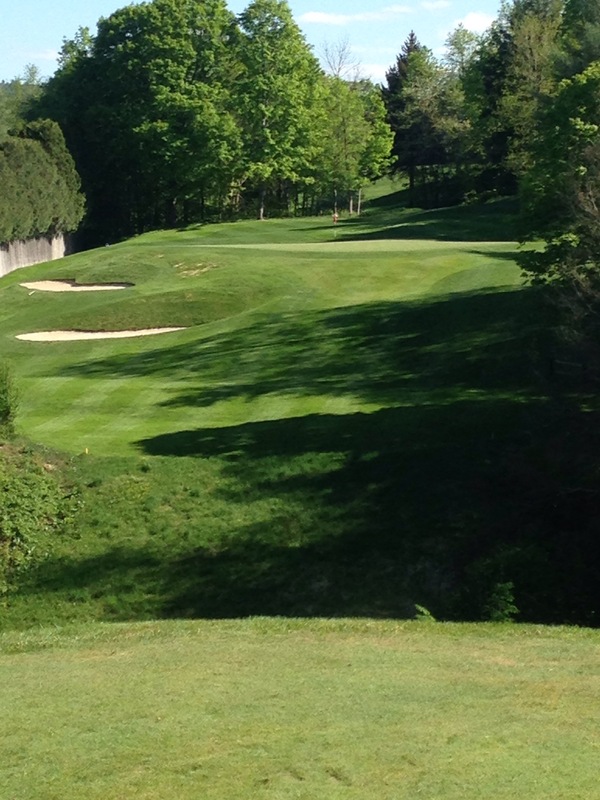 The last home of the Lakeland course is a long par 5 that you play after a long round. It’s a step up in difficulty from prior holes, there’s a lake right on the left side of the fairway to begin the hole, then a patch of trees to work through, then a sloped green. It’s a good time. 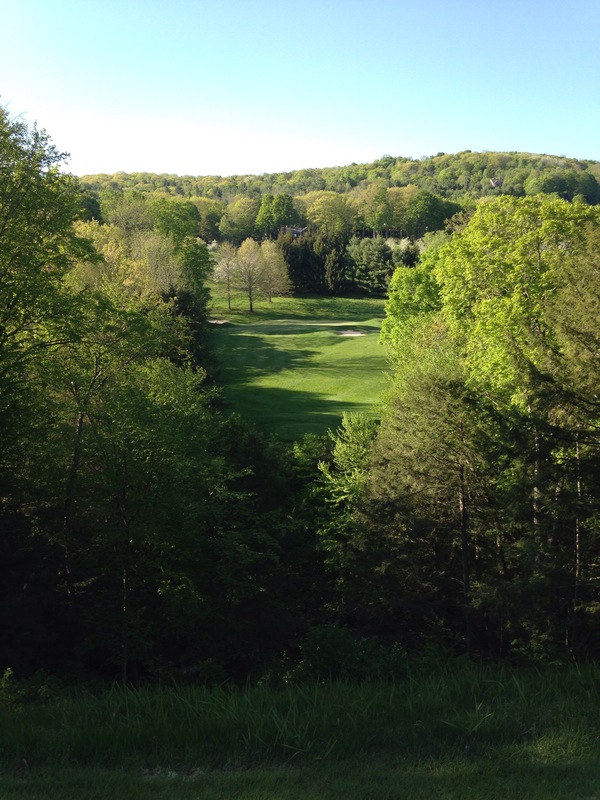 The 16th hole of the Highland course is a long par 3 with a deep ravine to shoot over, a steep drop in elevation, and it messes with the player’s psyche. Sweet. Both these holes are long par 5’s. They allow for long irons and hybrid play, which currently are my best clubs. 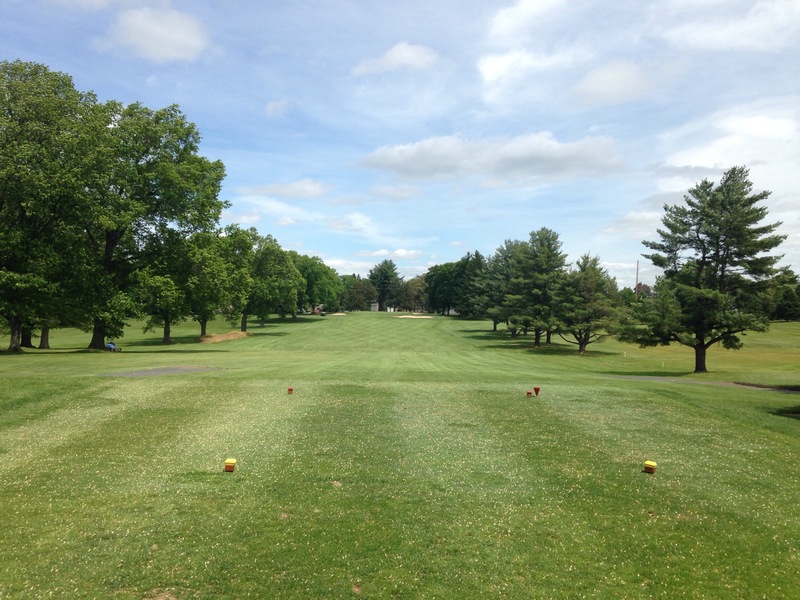 I posted great scores on both holes and hit my best shots here. These are two fun courses to play. They’re excellent challenges, filled with entertaining holes, and worth an afternoon of play. I personally prefer the Lakeland Course on aesthetics, but the Highland Course is the slightly better course on aggregate, and only so slightly. General facilities. Fairway play. Greens. Aesthetics. Total Difficulty. Also included will be some miscellaneous things, including favorite hole and most difficult hole. So here goes the review. Wamp has generally good facilities. The locker room is comfortable, I can store my stuff efficiently there, and I can get prepped there well. The driving range can get a little cramped when it’s a busy day, as today was. But it doesn’t lose points for that. 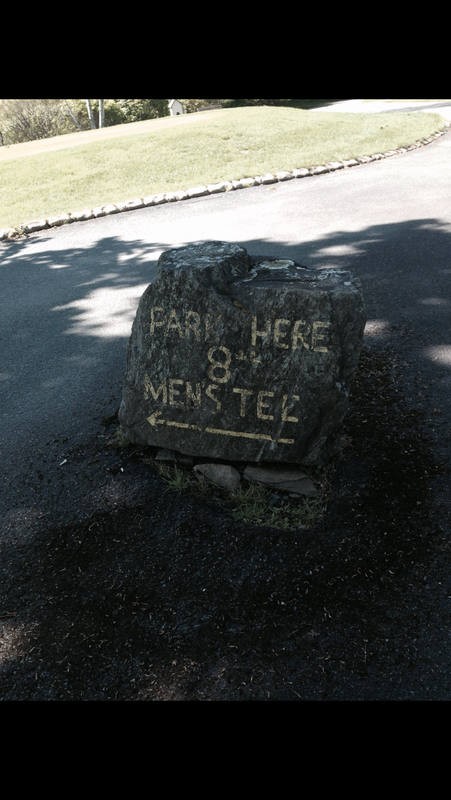 That’s a general point for all driving ranges. The food also was good on the 19th hole, which is golf lingo for post round merriment. A full meal of tremendous food and excellent beverages, while sitting on a porch as the sun rests in the western sky is a wonderful way to end a good day on the course. So what costs the facilities points? The practice green. First off, they don’t allow you to chip there. I understand why that’s not allowed on that green, but to chip, you have to go down to a chipping space which sits between the fairways of the first and second fairways and the green of the ninth hole. It’s out of the way, and inconvenient for all involved. And it’s quite possible to get hit by someone on any of those three holes. It’s a fine space to practice on, but the location is not optimal. The regular putting green is also not optimal. The location is excellent. However it’s in bad shape. Many patches aren’t seeded properly, and because of that, big parts of the green don’t have holes to shoot at. This means the holes that are available have more people shooting at them, which makes the green feel smaller than it is. This makes it harder to warm up on arguably the most important part of the game: putting. The green costs points on a category where generally Wamp is very strong. No major complaints here. There is a proper mix of long, short, wide, narrow, and any other kind of fairway you could want. They play comfortably, and give the player enough of a challenge to be enjoyable. 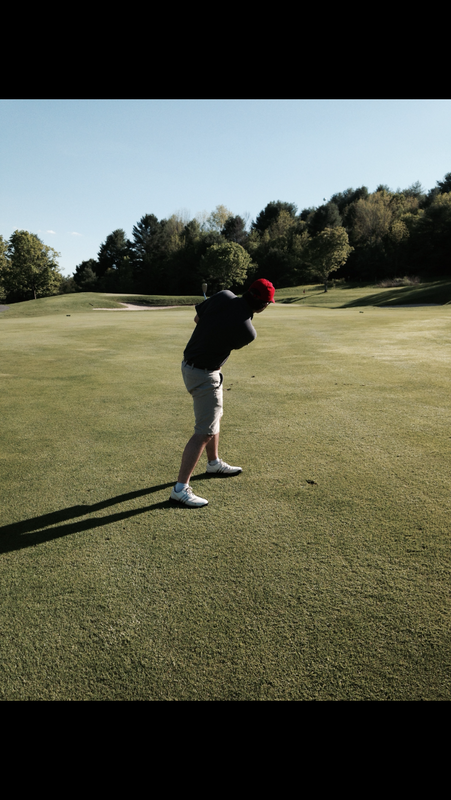 The only point I could take off would be for the 14th and 15th holes, which are in poor condition now. But the holes still play well enough that their conditions did not affect play and thus do not cost the fairways any points. Most of the greens played fine. They mixed sizes, slopes, and were generally pleasant and fun to play. There were, however, a few greens that were in bad enough condition that cost points. Specifically, the 14th green was in terrible condition. Getting there was not the real problem. But the 14th green was patchy and poorly seeded, similar to the practice green. That affected how you played it and took points off the enjoyment of it. There were other greens that weren’t in the best of conditions, but the 14th was the worst. Also, there were green side bunkers on both 11 and 16 that had ground wasp nests in them that led me to pull the ball out so as to not agitate the wasps and get myself stung. So yeah, points off for that. I got everything I could have wanted out of the course aesthetically. It was wonderfully green, wonderfully colored, and had plenty of cool water features running through the course. There was shade enough to keep you from getting too overheated, and it’s a good course to walk, which I did. The only point off is for the wind, even though that’s not really the course’s fault, and for the ground wasps. I’m not a fan of those. I already took a point off the greens for the wasps, but they affect other aspects of the course as well. The total course isn’t the hardest I’ve ever played. It still provides a fair challenge. 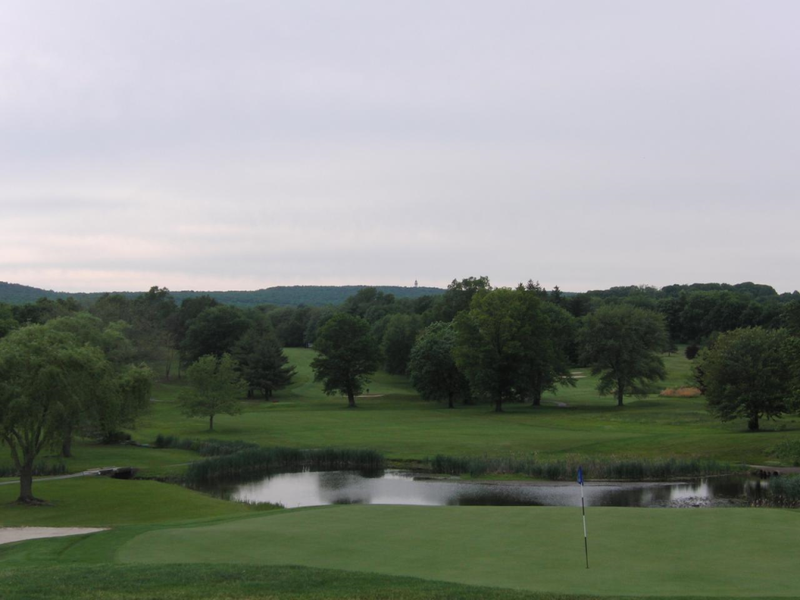 The final hole is widely considered the hardest closing hole in the state, and the course gives plenty of chances to put a ball in deep brush or water. It also has plenty of wide fairways that can lead to a ton of shots as you casually work your way to the green. The only points I take off on this section are for a bit of repetitiveness and relying on a few holes to even out the challenge. A good amount of the front nine are fairly easy to play, and the more difficult holes, 2, 8, and 9 are a big enough jump that it is a little unbalanced. The final hole is the hardest on the course, and it feels like the back nine depends on the final hole to give the hardest challenge with many holes not giving that hard a challenge. On aggregate, it’s a fun challenge to play the course. As I said before, this is often regarded as the hardest closing hole in the state. It’s a long hole, with a big pond you have to clear, then you have to go up a sharp hill to get to the green. If you get to the green and hit it too hard going down hill to the pin, it’s possible for it to go all the way down the hill, forcing you to start this part of the hole all over again. There are plenty of ways to mess up on this hole and it is the hole that everyone who plays the course remembers most vividly. This has always been my favorite hole to play on this course. You hit a tee shot over a hill, then let it roll a ways down a hill as you descend through a forest and try to drop the ball onto a wide green without putting it into the frontside bunker. I have so much fun playing that hole. Wampanoag is a fun course to play. It’s a good mix of challenging, entertaining, pretty, and fun. It’s an early season day, so the greens will get in better shape as the year goes on, but they were in tough shape today. They’ll get better. They always treat people well at this course, and I would recommend it to any golfer looking for a good course to play.